Caution! 5 Things You Must Do Before Buying a Used Car. By Guest Blogger Erika R.
By Guest Blogger Erika R.
Photo Provided by Guest Blogger Erika R.
A used car is often a great deal. Modern used cars can last for a long time and cost a fraction of the price of a new vehicle. They can be filled with features. You should never purchase a vehicle just because of the price or the appearance. You must do five things before buying a used car. Start by doing some research on the make and model of the vehicle you want. You want to read reviews, look at car rankings and check the safety ratings. You should also check the cost of ownership. See whether there are any commonly known issues with the car or previous recalls. This can stop you from buying an attractive used car that will become a problem to own. You want to decide on your financing options before arriving at the used car dealership. Check with your bank or local credit unions to see whether you can be pre-approved for a car loan. Compare those rates to what the dealership is offering. Shopping for a loan instead of just accepting dealer financing can save you money. You must always schedule an inspection before buying a used car. Take the car to a trusted mechanic or garage. Do not rely on friends who do not work in the auto industry. Have the car fully inspected. Listen closely to what the mechanics or technicians tell you. Never buy a used car without a professional inspection first. Take a test drive first. Dealerships like Expressway Dodge will allow you to test drive any used car that you are interested in buying. A test drive shows you how the car actually handles on the road. It also shows whether you are going to be comfortable while sitting and driving in the car. Take a comprehensive test drive that includes varied road conditions. Test everything while driving from the brakes to the air conditioner. The final thing to do is get an auto insurance quote. Get multiple quotes if necessary. This will show you whether the car is going to be affordable. Some used cars are very expensive to insure. Getting an insurance quote will allow you to better assess whether the used car is the right choice for you. Take your time when choosing a used car. Do not rush into the process even if everything seems perfect from the start. Do your research, test drive the vehicle and have everything inspected. 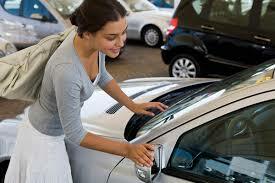 The right used car will become a valuable asset that you can rely on.